Where once a trip to the jewellers was a rite of passage for those wishing to tie the knot, thousands of people, mostly men, are now prepared to buy an engagement ring online. 77 Diamonds is a business set up to cater for the changing consumer habits of a generation which chooses a date by a swipe of their phone and probably booked a Valentines night out online. 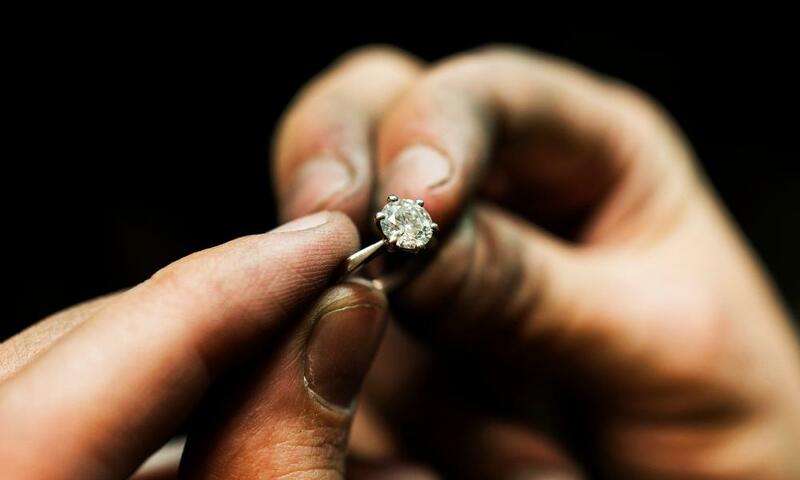 The company, based in a workshop up a scruffy narrow staircase behind a restaurant in central London , has caused a bit of a stir in the UK’s diamond industry by undercutting bigger players and removing the need for personal consultations in a jewellery store. Tobias Kormind, who founded 77 Diamonds in 2005 after stints at investment bank Morgan Stanley and helping to restructure online trading platform Interactive Investor, says one client spent £120,000 on a ring without ever seeing it in person. Another ordered a £500,000 piece online and paid a deposit, only flying in to the company’s Mayfair showroom for a viewing once it was close to completion. Clients include Premier League footballers and captains of industry. Most of the company’s clients are not splashing quite that much cash, but more than half spend as much as £3,000 online. Opening a leather box which looks like it might contain luxury chocolates, Kormind reveals two diamonds the size of throat lozenges. One has a rather glitzy cut that looks like it might be happy nestling at the throat of an Oscar nominee while the other is cut with an art deco-style similar to rings worn by Elizabeth Taylor and Beyoncé. They’re both worth north of £1m and are likely to be made into bespoke pieces. Kormind first set up the diamond sales site in 2005 while working for Marketing 77, a firm that helped luxury brands including Estee Lauder and Anya Hindmarch set up transactional websites. 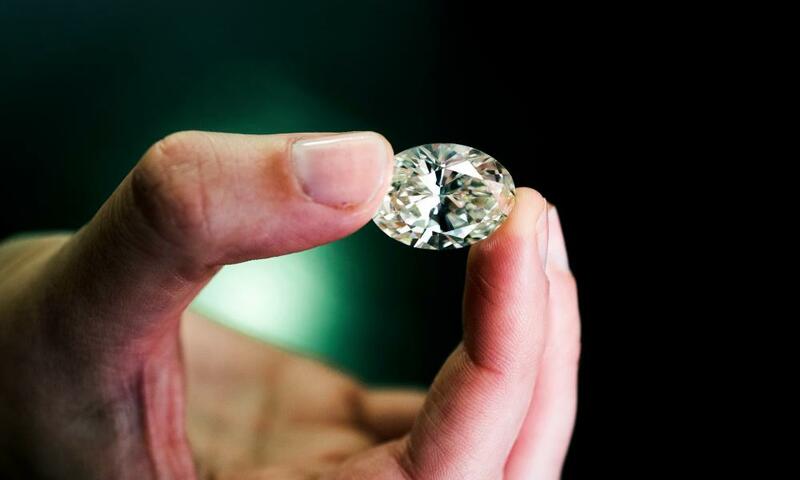 Three years later, he wanted to focus on the diamonds and teamed up with his wife, Ira, and business partner Vadim Weinig to buy out the business. Kormind funded his side of the buy-out with a few hundred thousand earned during his time working in banking as well as from remortgaging his flat. After a year of improving the website and building better relationships with diamond suppliers, turnover grew from about £400,000 to £2.4m. Today sales are about £18m and expected to rise to nearly £25m this year, according to Kormind. He says the business is profitable and looking at taking on outside investment to help build its international presence. As the price of diamonds in the UK has risen between 15% and 20% since the Brexit vote, because the pound has fallen against dollar in which they are priced, Kormind says clients are choosing to spend about the same amount but tweaking the size, or other factors to meet their budget. He says 77 Diamonds is able to offer jewellery as much as 70% cheaper than well-known businesses such as Graff or Tiffany partly because it bypasses the traditional wholesale markets and goes straight to the diamond cutters and polishers in India, the US and Antwerp. The group has access to about 400,000 stones, but only a fraction of this is held as stock helping to keep costs down. 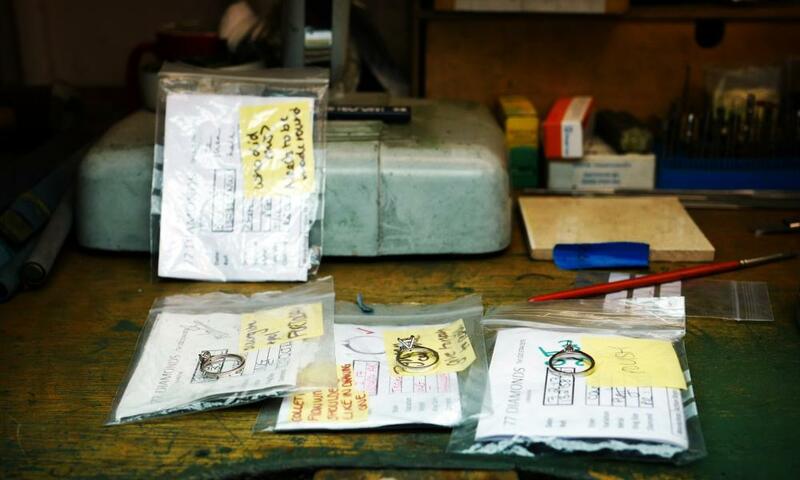 The jewellery is made to order with most of the gold and platinum rings cast at a firm based in Birmingham and then fitted with diamonds in the London workshop. In a tiny hot room, 77 Diamonds’ craftsmen sit at wooden benches curved like hairdresser’s sinks. The worktops are covered in exotic-looking tools – thin rasps that could have come out of a dentist’s kit, pointed tools with grips like small door handles and more emery boards than a manicurist could ever need. Leathery cradles looped under the benches in case any precious items are dropped also hold piles of pliers and other tools. Diamond setters Jason and Dean, who’ve previously done work for the likes of DeBeers and Cartier, reckon they have sat next to each other for nearly 30 years. With the steady hand and confidence of a master craftsman Jason takes tiny grains of diamond from a small wooden tray with a lick of spit and a fine tool shaped like a blunt toothpick. He then fits them into tiny recesses drilled in the ring. While this scene could be from the era of Dickens, it is offset by a futuristic laser welding machine used for cutting rings down to size. “About 90% of the jewellery sold in the UK isn’t made here and we are clawing a little bit of that back,” Kormind says. Set up in 2000 in collaboration with a group of governments, the Kimberley Process is designed to stop diamonds being used to fund wars. The action against so-called conflict diamonds has been widely praised, but Global Witness, one of the NGOs that helped draft the Kimberley Process, resigned in 2011 over concerns it did not act to stop trade of diamonds where there are wider human rights abuses. Kormind says he believes in the system but technology can add even more traceability to the market. He’d like to see every single diamond traced right back to the mine it came from. He adds that one of 77 Diamonds’ casters uses 80% recycled gold and he wants to introduce Fairtrade gold within the next 12 months.